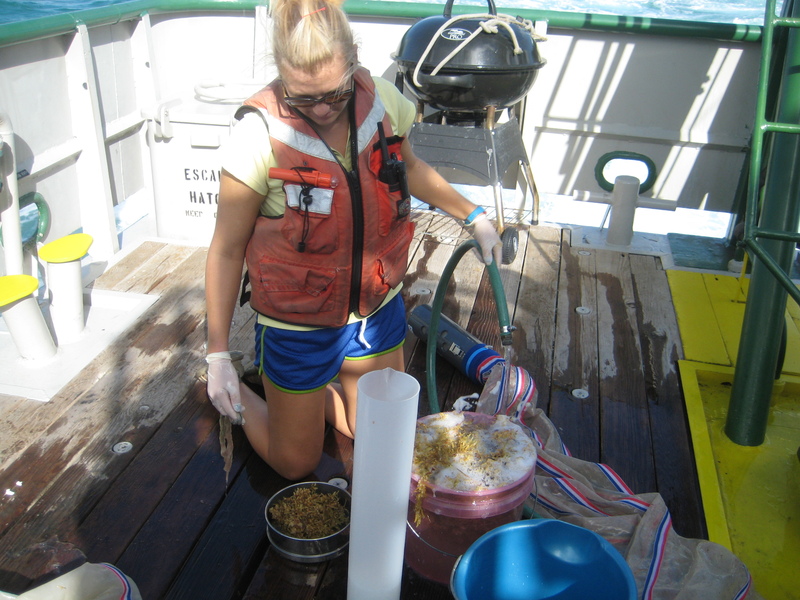 For the scientists on board the Oregon II, each shift follows roughly the same routine. 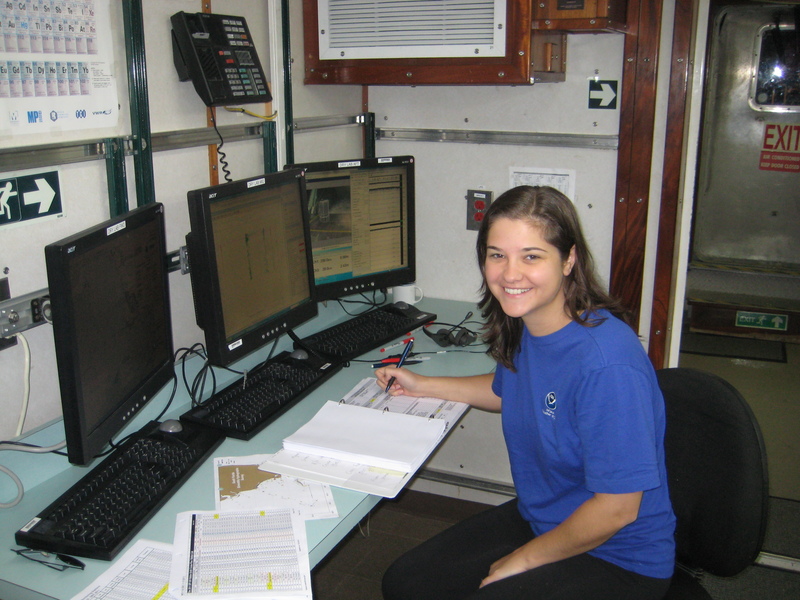 When we start our shift, we check in at the dry lab to see how much time we have until the next sampling station. 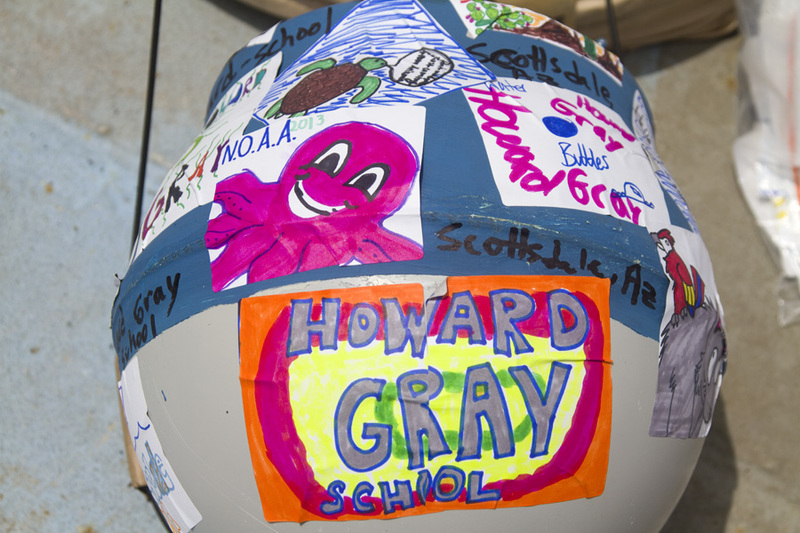 These stations are points on the map of the Gulf of Mexico; they were chosen to provide the best coverage of the Gulf waters. Our ETA, or estimated time of arrival, is determined by how fast the ship is moving, which is influenced by wind and currents, which you can see in the map below. A monitor mounted in the dry lab shows us a feed of the route mapping system that is used by the crew on the Bridge to drive the ship. This system allows us to see where we are, where we are headed, and what our ETA is for the next station. We also get warnings from the Bridge at one hour, at thirty minutes, and at ten minutes before arrival. 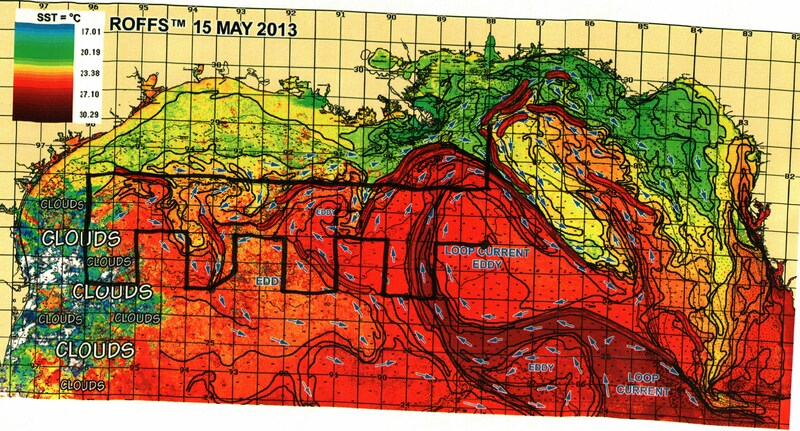 The currents in the Gulf of Mexico, plus our planned route. Image courtesy of NOAA. 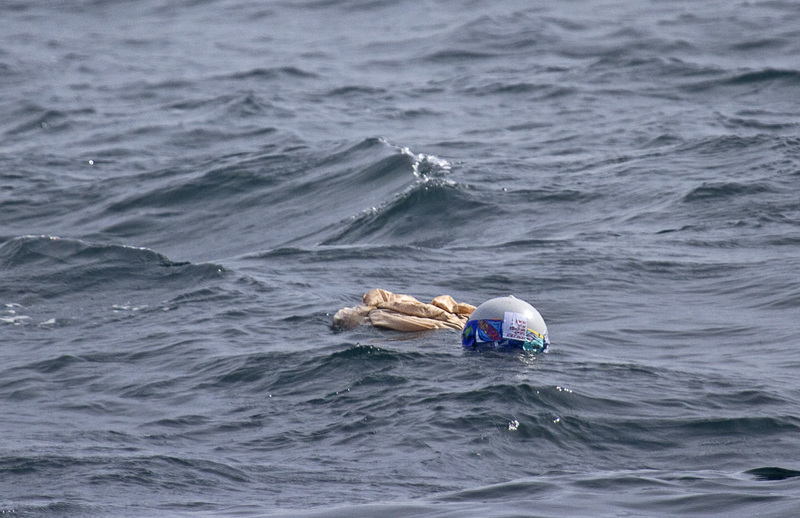 At the 10-minute mark, we put on our protective gear – more on that later in this post – and bring the cod ends up to the bow of the boat, where we attach them to the ends of the appropriate nets. 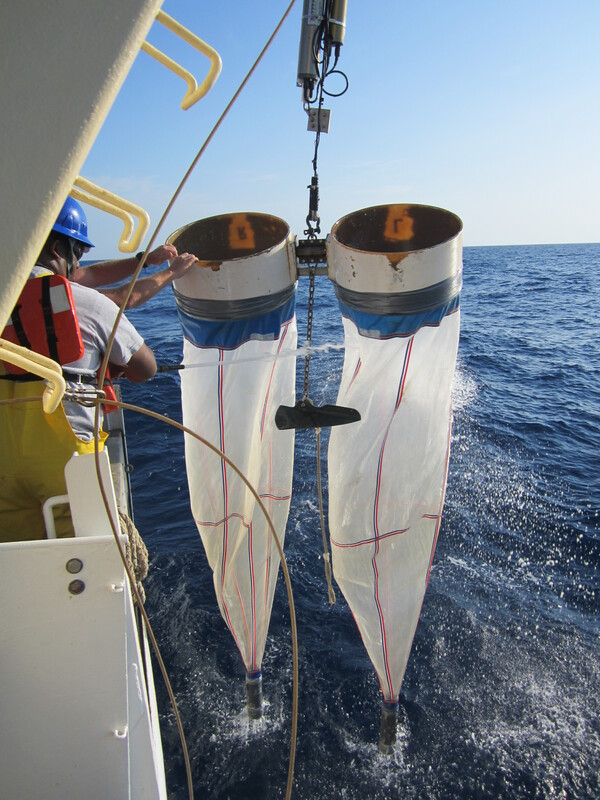 Then, we drop the Bongo nets, the regular Neuston net, the Sub-surface Neuston net, and the CTD into the water, in that order. 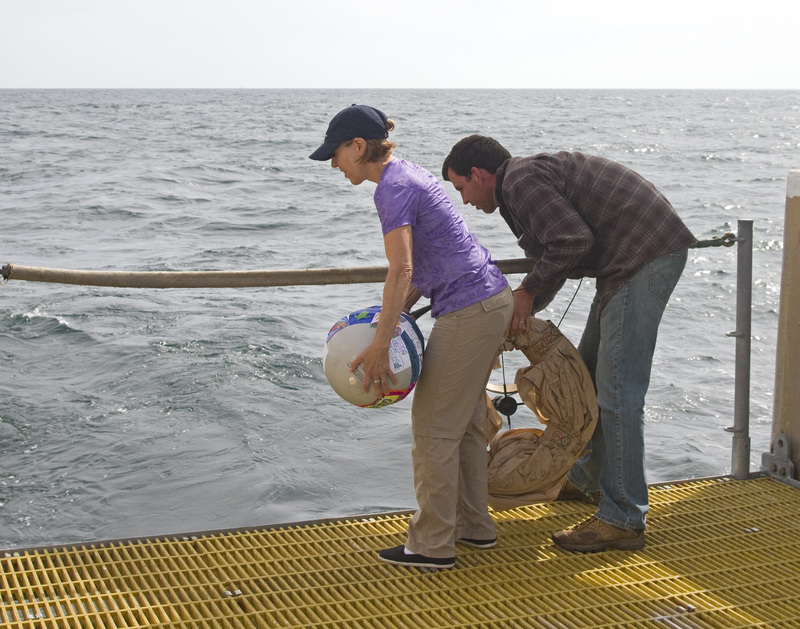 These all go down one at a time, and each one is pulled out and the samples collected before the next net goes in. The idea of dropping a net into the water probably sounds pretty simple, but it is actually a multiple-step process that requires excellent teamwork and communication amongst several of the ship’s teams. The scientists ready the nets by attaching cod ends and making note of the data that tracks the flow of water through the net. Because the nets are large and heavy, and because of the strong pressure of the water flowing through the nets, they are lifted into the water using winches that are operated by the ship’s crew. 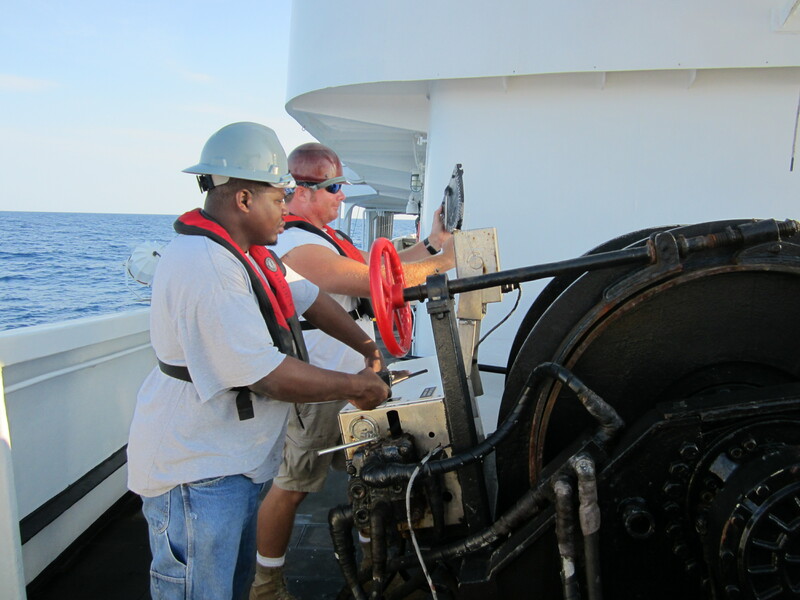 The crew members operate the machinery, and guide the nets over the side of the ship. While this is happening, the crew members communicate by radio with the Bridge, providing them with information about the angle of the cable that is attached to the net, so that the Bridge can maintain the a speed that will keep the net at the correct angle. 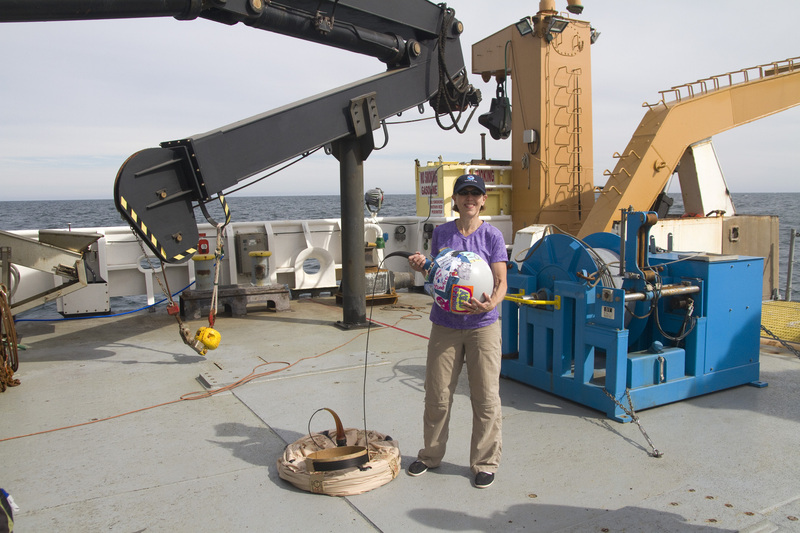 At the same time, a scientist in the dry lab monitors how deep the net is and communicates with the deck crew about when to raise and lower the nets. This communication takes place mostly over walkie-talkies, which means that clear and precise instructions and feedback are very important. When each net is pulled back out of the water after roughly 5-10 minutes, we use a hose to spray any little creatures who might be clinging to the net, down into the cod end. 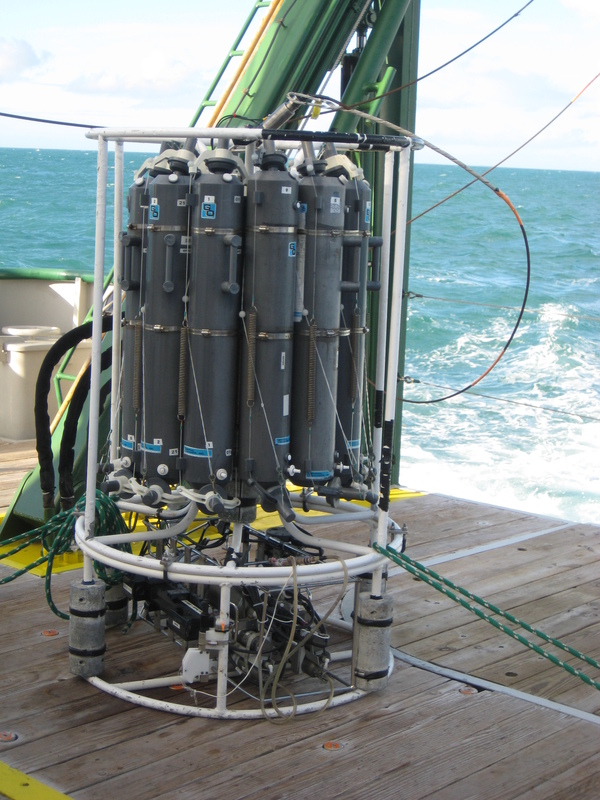 At stations where we run the MOCNESS, we head to the stern of the ship, where the huge MOCNESS unit rests on a frame. Lowering the MOCNESS takes a strong team effort, since it is so large. After we retrieve each net, we detach the cod ends and bring them to the stern, where a station is set up for us to preserve the specimens. 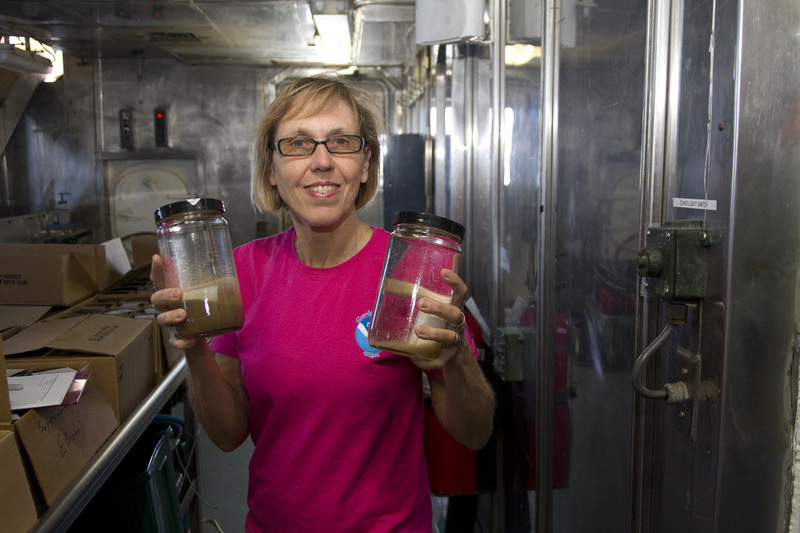 I’ll go into more detail about the process of preserving plankton samples in a later post. Alonzo, hosing down the Bongo nets before bringing them aboard. We’ve had a couple of nights of collecting now, and so far it has been completely fascinating. I’m in awe of the variety of organisms that we’ve come across. The scientists on my shift, Glenn and Alonzo, are super knowledgeable and have been very helpful in explaining to me what we are finding in the nets. 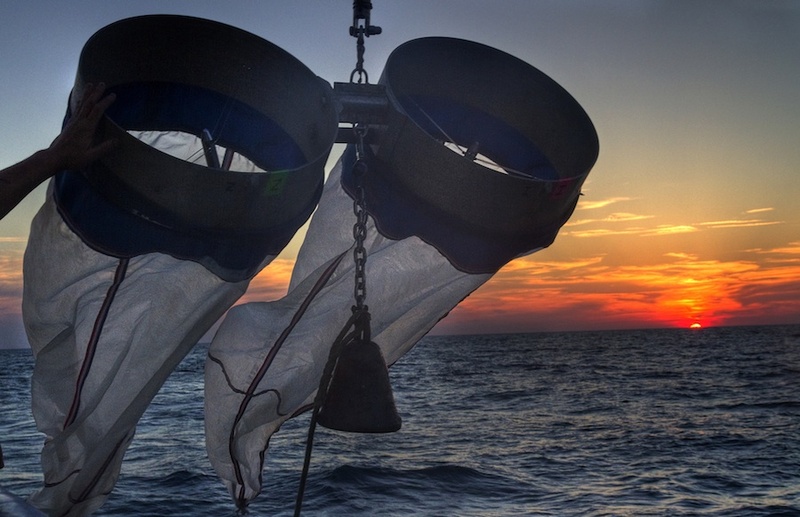 Although this is a Bluefin Tuna study, we collect and preserve any plankton that ends up in the nets, which can include copepods, myctophids, jellies, filefish larvae and eel larvae, to name a few. 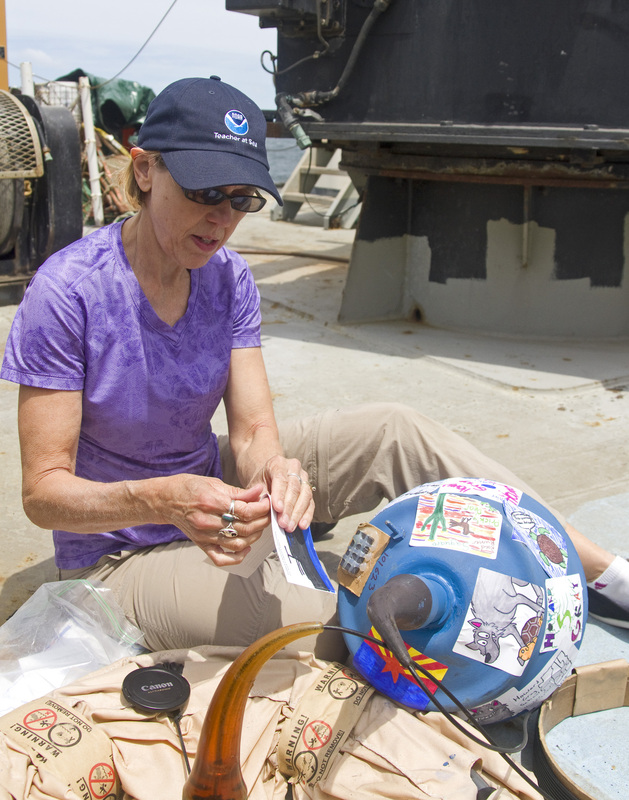 When we get the samples back to shore, they will be sent to a lab in Poland, where the species will be sorted and counted; then, the tuna larvae will be sent back to labs in Mississippi or Florida for further study and sometimes genetic testing. 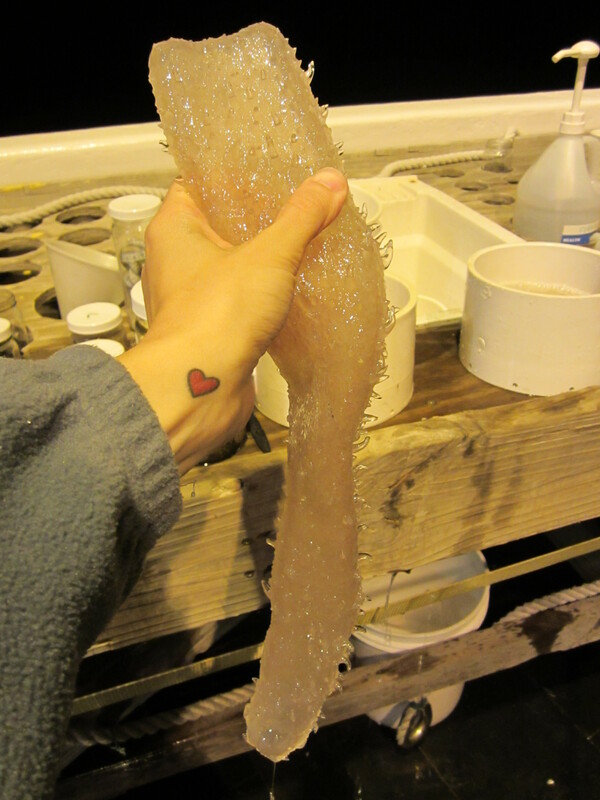 My favorite creature find so far has been the pyrosome. While a pyrosome looks like a single, strange creature, it is actually a colony of tiny creatures called zooids that live together in a tube-shaped structure called a tunic. The tunic feels similar to cartilage, like the upper part of your ear. Pyrosomes are filter feeders, which means they draw in water from one opening, eat the phytoplankton that passes through, and push out the clean water from the other end. 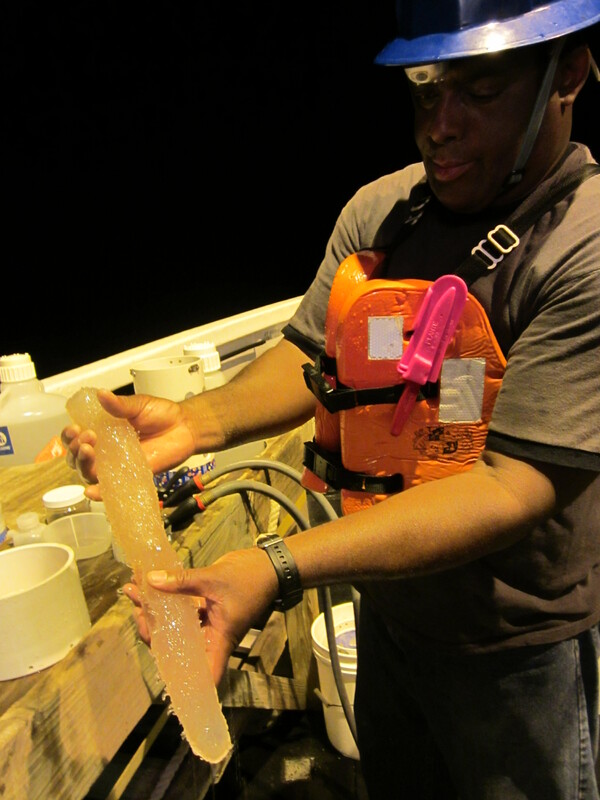 So far on the night shift, we’ve found two pyrosomes about four inches in length and one that was about a foot long; the day crew found one that filled two five-gallon buckets! Me holding a pyrosome. So neat! Hello, Nature Exchange Traders! 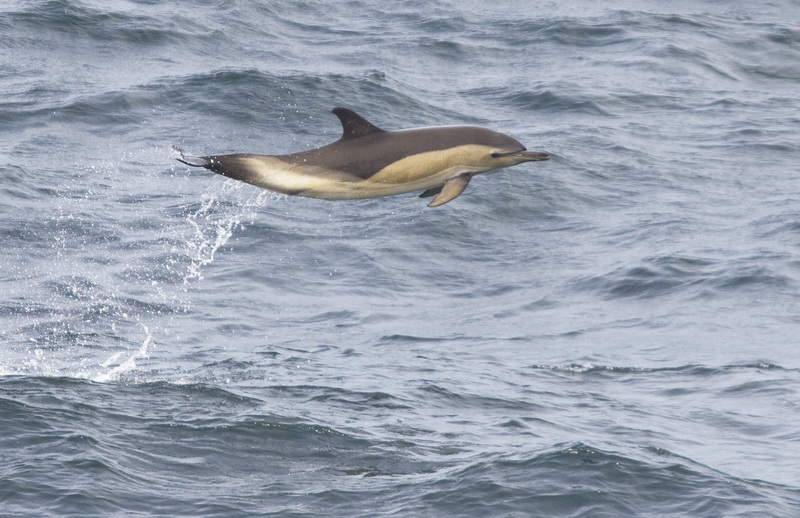 Pick one of the of the zooplankton listed in bold above, and research some facts about it: Where does it live? What does it eat? What eats it? Write down what you find out and bring it in to the Nature Exchange for bonus points. Be sure to tell them Emmi sent you! Safety is the top priority on board the Oregon II. We wouldn’t be able to accomplish any of our scientific goals if people got hurt and equipment got damaged. 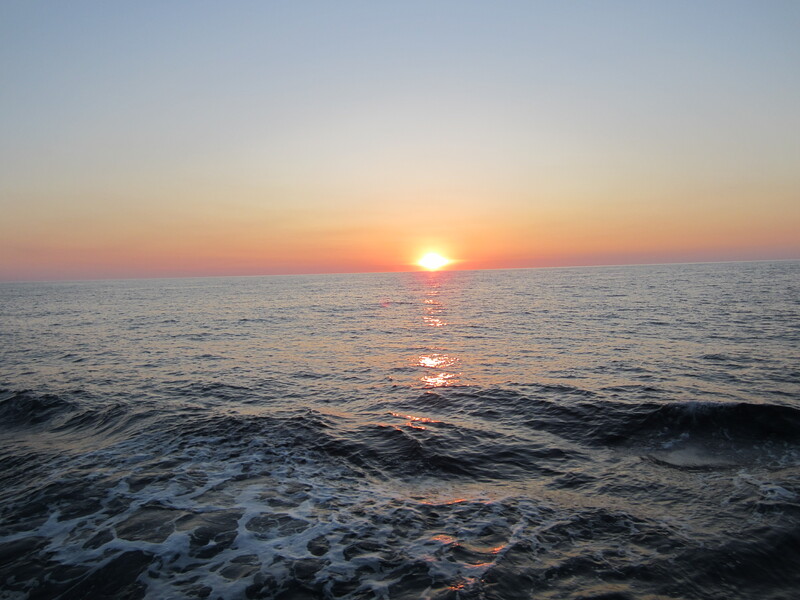 We started our first day at sea with three safety drills: the Man Overboard drill, the Abandon Ship drill and the Escape Hatch drill. 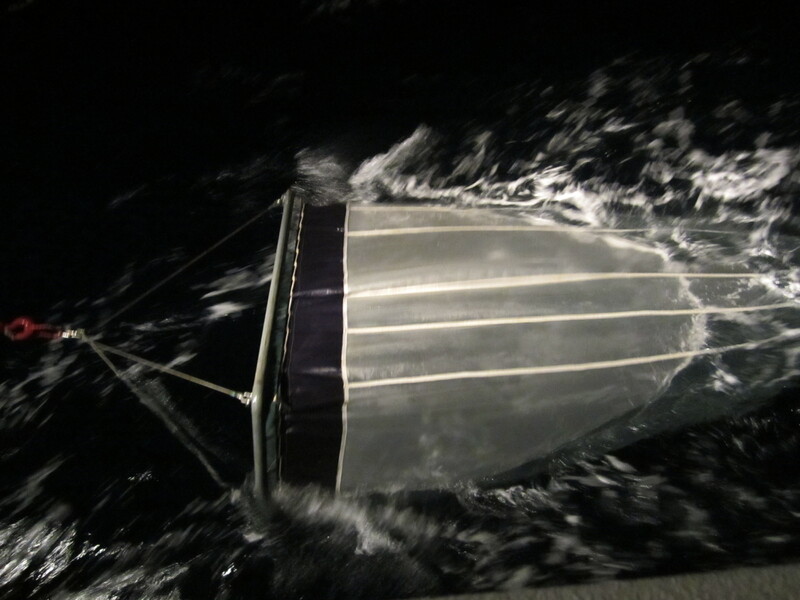 For Man Overboard, everyone on board gathered, or mustered, at specific locations; for the Science team, our location was at the stern, or back of the ship. Aft is another word for the back. From there, we all scanned the water for the imaginary person while members of the crew lowered a rescue boat into the water and circled the Oregon II to practice the rescue. For the Abandon Ship drill, we all grabbed our floatation devices and survival suits from our staterooms and mustered toward the bow, or front of the ship. 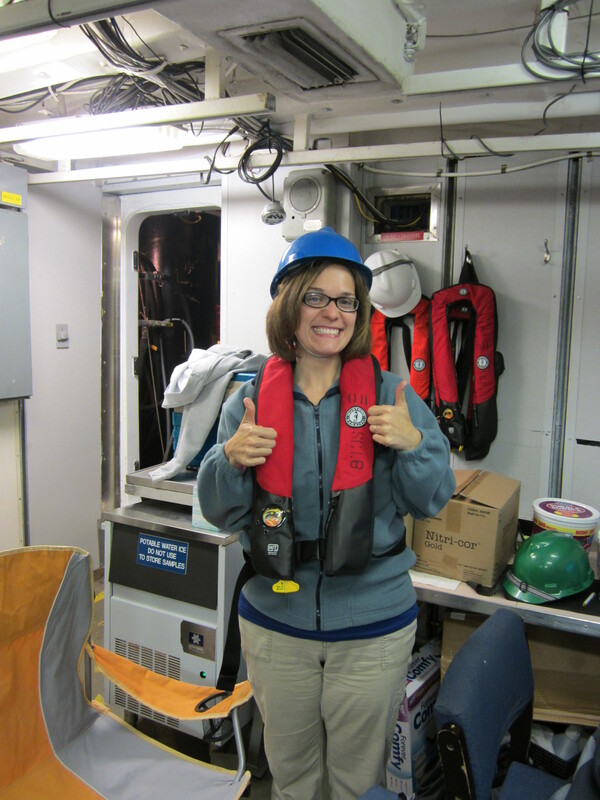 I got to practice putting on the survival suit, which is affectionately called a Gumby suit. 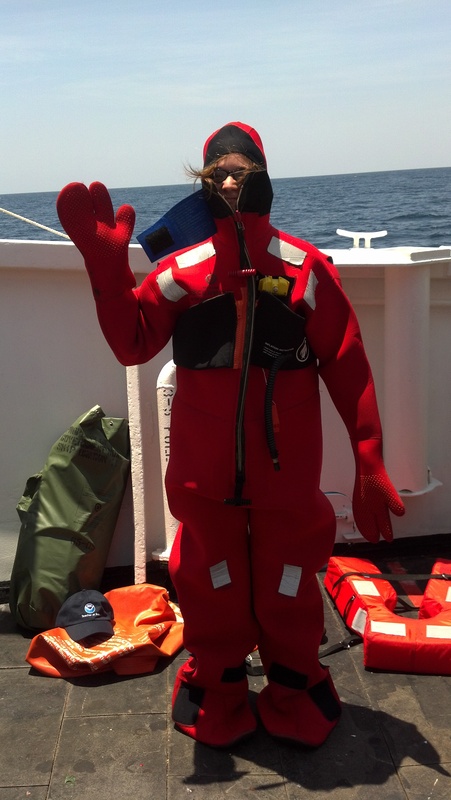 In the unlikely event that we would ever have to abandon ship, the suit would help us float and stay relatively warm and dry; it also includes a whistle and a strobe light so that aircraft overhead can see us in the water. For the Escape Hatch drill, we all gathered below deck where our staterooms are, and climbed a ladder, where crew members helped pull us up onto the weather deck (the area of the ship exposed to weather) on the bow of the ship. This is meant to show us how to escape dangers such as fire or flood below deck. 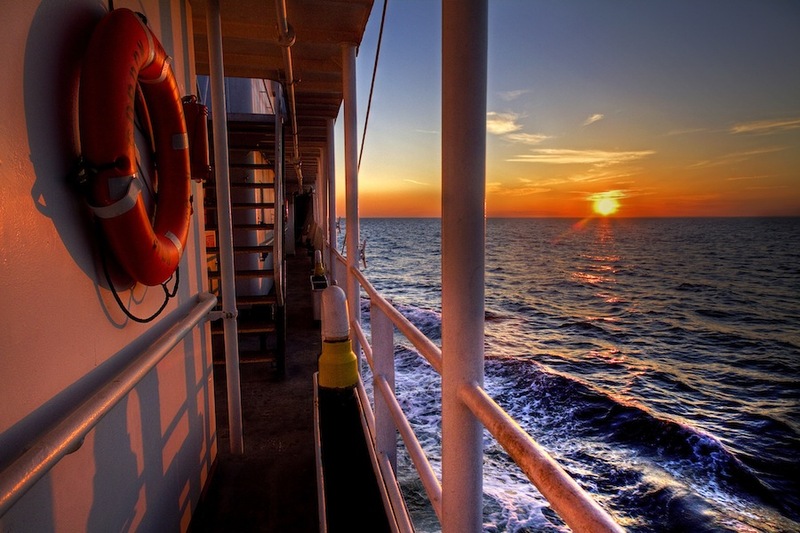 But safety isn’t just practiced during drills; it’s pretty much a way of life on the ship. Whenever winches or other machinery are in operation, we all have to wear hard hats and life jackets; that means that we wear them every time we reach a station and drop the nets. We are also all required to wear closed-toed and closed-heeled shoes at all times, unless we’re sleeping or showering. Another small safety trick that is helpful is the idea of, “keep one hand for yourself and one hand for the ship.” That means we carry gear in one hand and leave one free to hold onto the swaying ship. This has been really useful for me as I get used to the ship’s movements.